All entrepreneurs work hard in order to establish and grow their business. Established businesses do have insurance to compensate if anything goes wrong. But, how much time and extra effort it will take to rebuild it to the previous level. So, it is always better to invest for prevention rather than letting the adversities to act on. Losing the business assets may not be your fault. However, such losses are not unavoidable. This is where business security systems are vital as such a system can give the power into your hands to safeguard your business. A good business security system can ensure you the extra protection needed for your business to protect against any kind intrusion of theft. Apart from protecting against thefts, the business security system may also help to control or restrict access and also customize your company operations more effectively. For example, with the provision for monitoring your business premises, you can better manage it from a security point of view as well as a CCTV monitoring can help you track the customer activities too. It may also offerstaff monitoring at business premises. Installing such cameras may also deter any possible crimes and also will be able to capture footage to be produced in case of prosecutions. Business security systems serve different purposes from basic security to advanced smoke or fire alarms. There are manual as well as electronic systems available now to be chosen based on the customized purposes of your business. Most of the commercial enterprises now used security systems aiming at perimeter security. Such systems let them monitor a wide range of exterior property as well as internal premised. When it comes to advanced security, you even have options like electronic gates at different access points to be opened with only an RFID card or fingerprint. You have various baseline options when it comes to business security including the type of surveillance you need. The choices are mostly related to how these systems communicate with the monitoring center and the users. It may be over the landline, broadband, or cellular network. In addition to it, you can also choose professionally installed systems or the DIY systems. In case of business security administration, most of the companies approach professional installation services. On the other hand, the benefits of DIY systems are that most of these advanced systems are wireless and can be easily installed in an hour and you can own the equipment to be taken anywhere. Further, in this article, we will discuss a few top business security systems Philadelphiaand features of each in an effort to let the business owners be knowledgeable about the options and choose the ideal one. 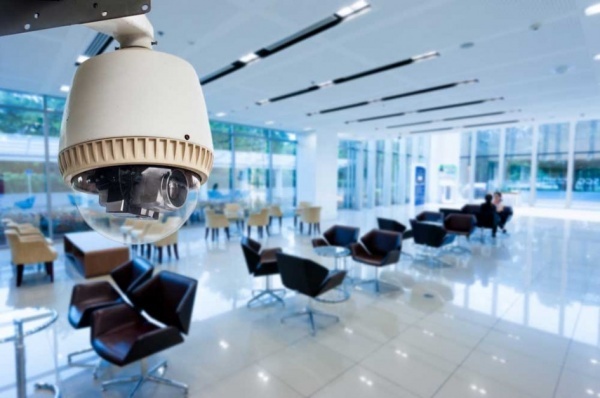 Video surveillance is the most popular and standard choice of businesses for monitoring their business premises and help deter any possibility of theft or crime. Video surveillance can help protect the office building of our business both from inside and also monitor the outside premised. You may need a video surveillance CCTV system if you want to monitor what happens at your business in real time. Many of the advanced systems can be connected to mobile devices through the web, with which you can see what happens out there at your business even when you are away. Video surveillance will also help you monitor customer behaviors as well as your employees at a time. As discussed above, video surveillance will also help to maintain the video proof of the activities if there is a need for an insurance claim for damages or theft. Based on one's needs, you can contact a vendor to provide video monitoring as a sever. It is also possible to buy cameras, DVRs, and accessories yourself and install it. The DIY units may be priced anywhere around $300 to $750 for the cameras plus additional cost for various types of DVRs and monitors. You can also plan to take subscription of professional vendors who charge monthly after initial installation cost. This altogether may go up to about $1500. Next, to CCTV, this is the best popular option adopted by businesses to help protect theft. With a good intrusion detection alarm installed, you can protect everything inside your office space, store, or building. Intrusion detection alarms are found so effective in protecting businesses from burglary, dangerous intruders, and vandalism, etc. · Why businesses need it? Any business owners don't want to wait until a disruption to happen at your business without any alarms or warning. Intrusion detection alarms will effectively take care of it by discouraging burglars and also discourage the staff from any possible theft. On the other hand, it also ensures a feeling of safety among employees. A standard intrusion detection alarm has different devices in it to detect any intrusion as motion sensors, smoke detections, glass breaking sensory, etc. A third-party vendor usually monitors and gives user alerts about any intrusions or adverse activities at your business. Intrusion detection monitoring centers function 24 x 7 and also get the authorized people, and the police notified of any intrusion. The cost of such business alarm systems may vary based on the size of your business and the points to cover. Most of the professional providers offer monthly monitoring fee packages with an installation fee. Based on the business needs, the price of installation may be as low as $100 or even the high-end systems which costs over $2000 too. 1. Computer security system which helps protect your valuable documents and file, protect sensitive/proprietary customer info, software, and other digital and off-line assets to run your business more effectively. 2. Electronic access control systems help protect different departments or special rooms which shouldn't be accessible for all the employees. With many more options available than above, you should be very diligent and informative in order to choose the ideal security systems for your business.